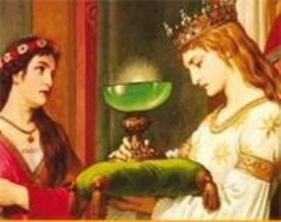 The myths and legends about the Holy Grail are nowadays as much as powerful as thousands of years ago, when the first stories occurred. In the course of time, the Holy Grail has changed of appearance and also his meaning has been interpreted in different manners. It is suggested that the Grail could have been a box, a plate, a chalice, a cauldron or even the philosopher’s stone which would bring immortality. Or was it a more abstract mystery, like the secret bloodline of kings which can be dated back to Jesus Christ himself or a synonym for the generosity of nature? In this research three primary sources will be discussed with two questions in mind: In which way the Holy Grail has been represented in those sources and what does the corresponding developpement looks like? Are there also networks implicated? we can conclude that we are faced with one and the same lance. Chrétien de Troyes let Christian, Celtic and fairy elements interfere with each other which makes his work so attractive and mysterious. His novel provoked much more attention for the Grail than the one written by Adamnan; the first leading to the widespread “Quest for the Holy Grail”. Robert de Boron wanted to write the prehistory of the Holy Grail. In Joseph d’Arimathie, also written in the 12th century, he describes how Joseph of Arimathea received the Grail from an apparition of Jesus and send it to Great Britain where it was kept safe by guardians and then finally ended up in the kingdom of the Fisher King. 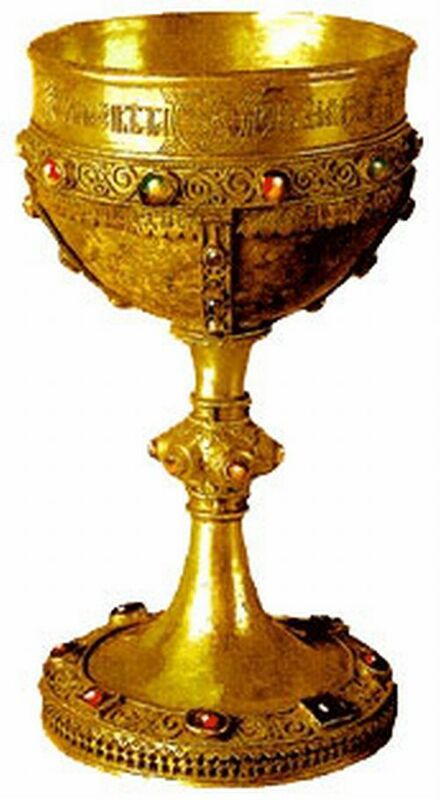 He states that the Grail is a chalice in which Joseph caught the blood of Jesus when he was cleaning his wounds. In this work, the Grail has now been fully christianized; it is not a mixed mode of different elements anymore. Robert de Boron leaves out the lance and focuses entirely on the Holy Grail which gives off a splendid, bright light too. Nevertheless, there is also a version of this story wherein Joseph caught the blood and sweat of Jesus what dropped out of His side when he was still hanging on the cross. Furthermore, this novel mentions explicitly a shroud too. As you can see, there is an extensive intertextuality between those three sources. The networks which are implicated in this research are multiple. By creating an interrelation between the concept of the Holy Grail, the three primary sources and the representation of it in those sources, we could recognize first of all a network of time wherein the Grail evolves with time. Secondly, there is a topographical network which goes from the East to the West, respectively from the Holy Land to Europe. This network has to do with the lore of Arculf’s experiences and his contact with the relics which he discovered and with the work of Adamnan scattered all over Europe. Also the literary transport of the Holy Grail, from the place where Jesus was crucified to the kingdom of Arthur, creates a network between East and West. Finally, there is an overall Christian network which brings the three primary sources together. Barber, Richard (2004) The Holy Grail – Imagination and Belief. London: Penguin Books. Butler, Alan (2011) De Heilige Graal – Geschiedenis en geheimen. Kerkdriel: Librero. Boron, Robert de (1995) Le roman de l’histoire du Graal - Traduit en français moderne par Alexandre Micha. Paris: Honoré Champion. Troyes, Chrétien de (1990) Le Conte du Graal ou le roman de Perceval. Paris: Librairie Générale Française. Wright, Thomas (1895) Early travels in Palestine – Comprising the narratives of Arculf, Willibald, Bernard, Saewulf, Sigurd, Benjamin of Tudela, Sir John Maundeville, De la Brocquière, and Maundrell. London: Covent Garden. Butler, Alan (2011) De Heilige Graal – Geschiedenis en geheimen. Kerkdriel: Librero. Frontpage.